Hello All!We are back with our june release with beautiful decoupage papers for this month.We have 3 paper packs release for this month and here's the full reveal. 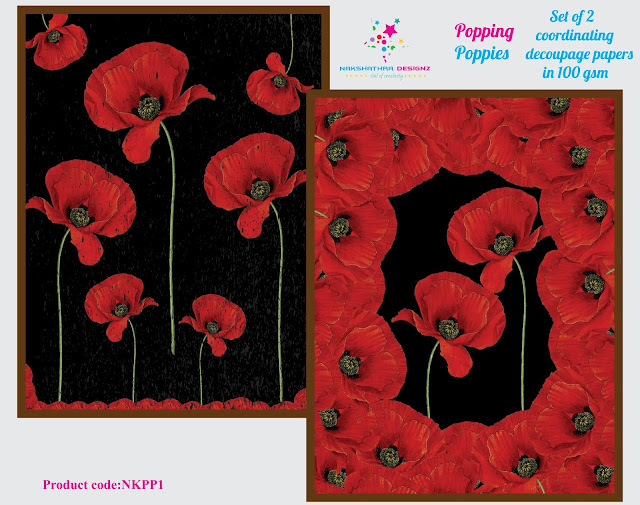 It consists of 2 coordinating poppies decoupage paper in 9*12 inches 100 gsm decoupage paper. 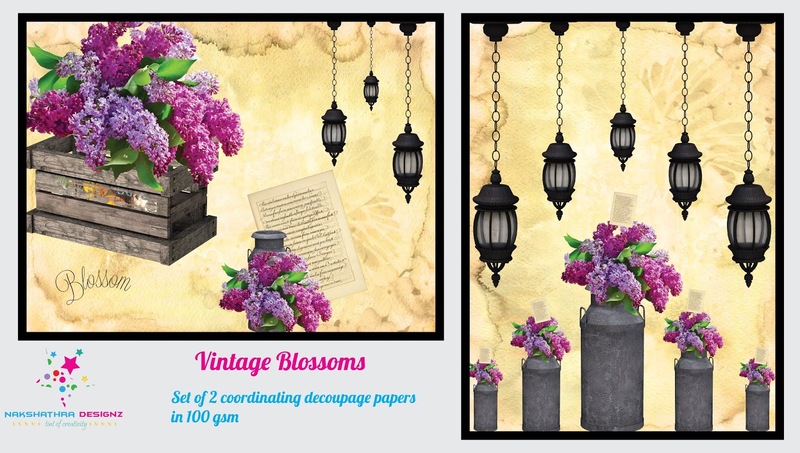 We all love lilac right!That too with a vintage touch consisting of vintage elements along with a subtle vintage background.This one is my personal favourite.It consists of 2 coordinating decoupage paper in 9*12 inches 100 gsm decoupage paper. 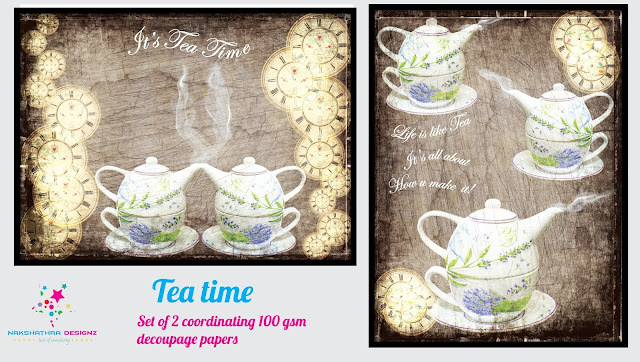 A vintage grungy rustic feel with beautiful kettles and wordings .A perfect tea time paper.